Tropical Flip Flop 71-inch Inflatable Pool Float This Tropical Inflatable Flip Flop Float will catch the eye of every guest at your next pool party. Fun sandal straps double as a great head rest, or put your arms under them to paddle around the pool. A convenient built-in cup holder keeps your refreshments close at hand. Lay back and rest easy on this 6 foot long float that is sure to be the fun float of choice at your pool. 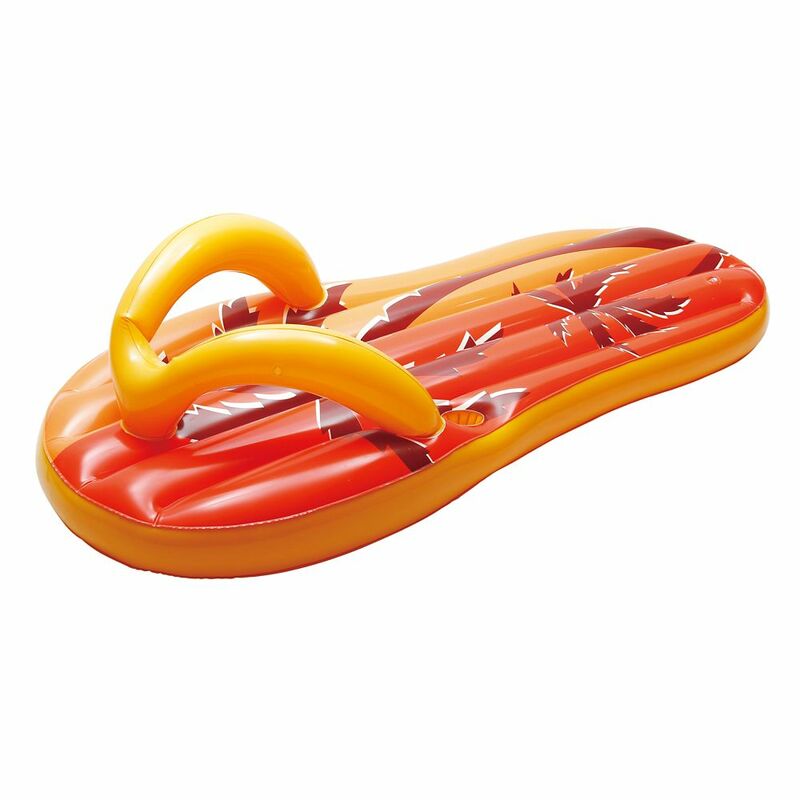 Tropical Flip Flop 71-inch Inflatable Pool Float is rated 1.0 out of 5 by 1. Rated 1 out of 5 by cclaudino212 from Very poor quality. It was deflated only one day after being inflated. Very poor quality. It was deflated only one day after being inflated.